There are some dishes, which is recommended to prepare only on certain holidays, so that they become the best reminder of a fun-filled celebration. 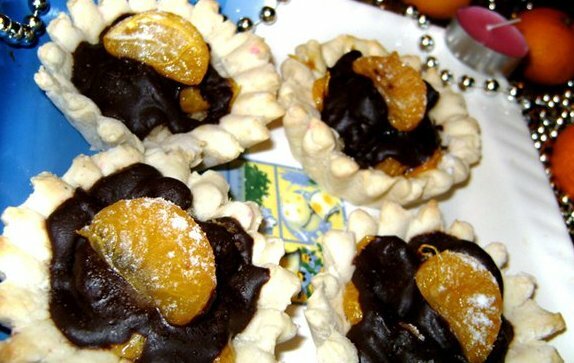 So, for example, for the Christmas holidays or New Year's table can be prepared sand baskets with chocolate and caramel tangerines. – песок сахарный для приготовления карамели (две ст. ложки).